I’m a big believer in trying to capture and learn from everything you do. When you work in the start-up and turnaround space, not everything will be a clear success. Demonstrate Incremental Benefits…All The Time. Taking on long-term projects is dangerous. Sponsors change. Markets change. New technology comes out. If you’re working on a multi-year transformation, you need to demonstrate incremental wins and have clear milestones. You should assume you don’t have the next round of funding and build for success at each point. I could say this is using an Agile approach, but it’s more than that. This one probably seems so obvious from the outside looking in, but it’s easy to get carried away with trying to take on too much. In this particular case, we thought we had a 3-year timeframe to build and deliver on the vision. We created a vision of care coordination that was really innovative, but we knew that no one had pulled it off before. We then tried to coordinate care coordination and cost management which also hadn’t been done. It would have been better to deliver one thing at a time and make ourselves incredibly sticky in that area. When coming into a business, it’s so important to know the customer base and what they feel about the business. Do they love it? Do they engage regularly? Is it just a commodity? And why. In this case, clients seemed to love the business, but it was because it was a massively customized business doing all the wrong things. As we brought the business into compliance and created re-usable processes, it changed the relationship with the customers. The relationships weren’t sticky, and we didn’t have clear alignment of goals. When you’re in the early stages of growth, it’s tempting to try to partner with people bigger and leverage their brand. While that can help, it’s often a big distraction. Some times, you commit to something that you can’t achieve putting pressure on a key relationship. And, other times, you put so much at risk tied to the big company that when you realize that you’re not important to them then you have real challenges. This gets back to the traditional understanding of buy, build, or partner and understanding your core competencies. You’ll always find early adopters especially when you have a compelling vision, good sales people, and good management. But, they won’t make your business for you if you can’t clearly demonstrate value. You have to have access to data. You have to be able to report on what you do and demonstrate how you’re creating a ROI. In today’s competitive market, companies without a clear value proposition don’t last long. This is a tough one. We all watch the competition and see a path towards success, but as a younger company, trying to compete on price is a sure path to disaster. Like the Blue Ocean Strategy, you want to compete in a different area. Find your niche and do it better than anyone else in a way that is really different. Trying to build something to just catch up always puts you behind. Hire Slow and Fire Fast. This is something many people say, but they don’t always do. It’s important to get the right team. It’s important to hire in a logical sequence. For example, getting a great sales team before your solution is built is great for the pipeline but frustrating to everyone in between. On the flipside, in a smaller company, a toxic personality or someone that doesn’t fit can kill you. You need to realize that quickly and let them go. No one likes to do it, but you do a disservice to everyone else if you keep them. The past few years have been really interesting as I learned more about case management, disease management, utilization management, oncology, kidney care, and many other parts of our healthcare system. The key is leveraging all of this as I move forward in my new role. I think another related topic to think about here is some of the lessons around MVPs (minimum viable products). I always use the Apple 1 as my case study for an MVP. Is There A Future For Community Oncology? Cancer costs are expected to reach $174B in the US by 2020. Right now, it’s about 10-11% of total healthcare spend which makes it a big area of focus within the healthcare industry. Is it about evidence-based care and following NCCN guidelines or clinical pathways? Is it about palliative care and managing spend in the last 3-6 months of life? Is it about personalized medicine? One of the challenges is the survival of the community oncology practice (see ASCO report) that is an issue that physicians have struggled with in other specialties. Over the past few years, we’ve seen continued consolidation of practices with many of them being acquired by hospitals and hospital systems. In some cases, oncologists have seen a reduction in their income tied to a reduction in buy-and-bill and are looking to be employed in order to continue to maintain their incomes. They are one of the few medical professions that have seen a reduction in income recently. At the same time, this trend is also driven by hospitals taking advantage of the 340B pricing which allows them to generate approximately $1M in profit for every oncologist they employ. And, the complexity of oncology treatment also is prompting the need for a more comprehensive care model which requires a broad set of services which is sometimes difficult for a small practice to provide. Of course, this shift in care from community oncology to hospitals is driving up costs without a demonstrated improvement in outcomes. This is driving a lot of payer focus and driving discussions of payment reform whether that’s in the form of ACOs, PCMHs, or bundled payments. United Healthcare recently released some data from one of their pilots. This seems like another classic example of misalignment across the industry. Hospitals clearly see an opportunity to buy up more oncology practices while payers and others are going to push for reform around 340B and payment differences. Oncologists are struggling to continue providing care but replace the income they were making of buy-and-bill of specialty medications. I’ve talked to a lot of people about this struggle. It doesn’t seem clear whether community oncologists are destined for extinction or will payers will find a way to enable them to survive. The other question is how things like teleoncology, tumor boards, big data, and the focus on prevention and survivorship will ultimately change the care delivery approach to oncology which may impact the role of the community oncologist in the future. On the surface, the “Holy Grail” of sophisticated wellness and incentives programs are based on outcomes. This means that the individual gets rewarded for achieving a goal. For example, you can structure your incentives different ways. You could have a reward for enrollment (i.e., I register for a program). You could have a reward for activity (i.e., I talk to a nurse or watch a video online). You could have a reward for an outcome (i.e., I lose 10 pounds). But, those have different implications in terms of structure. [Note: I’m not a lawyer or an accountant so don’t take this as legal advice.] I think Andrea Davis at Employee Benefit News did a good job of touching on this in her article “No Good Deed“. I did have a chance to implement a large outcomes-based rewards program for 1/1/14 where we had to address a lot of these changes from the ACA. One of the key terms that she hits on is this idea of “Reasonable Alternative Standards”. This basically means that if you implement an outcomes based incentive program that people have to be able to get the same incentive without achieving the outcome. This seems to defeat the purpose in my mind. I always used to say that it was like having a guard dog with no teeth. We implemented a very interesting program with lots of expectations, but there was a huge gapping loop hole. Everyone could apply for a Reasonable Alternative Standard and achieve the same payout without really doing much. Of course, most people don’t realize this, but this is why I would argue that people that aren’t healthy or engaged with their health programs at work would rather have these outcomes based programs. 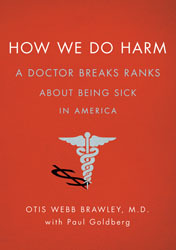 Let me start by saying…DON’T read this book if you enjoy having your physician up on a pedestal. It will change your perceptions and skepticism of the system. DO read this book if you’re frustrated by our US health care system and wonder why we spend so much money without necessarily seeing differences in mortality and outcomes compared to other developed countries. Otis W. Brawley, M.D., F.A.C.P., chief medical officer for the American Cancer Society, is responsible for promoting the goals of cancer prevention, early detection, and quality treatment through cancer research and education. Dr. Brawley currently serves as professor of hematology, oncology, medicine and epidemiology at Emory University. From April of 2001 to November of 2007, he was medical director of the Georgia Cancer Center for Excellence at Grady Memorial Hospital in Atlanta, and deputy director for cancer control at Winship Cancer Institute at Emory University. He has also previously served as a member of the Society’s Prostate Cancer Committee, co-chaired the U.S. Surgeon General’s Task Force on Cancer Health Disparities, and filled a variety of capacities at the National Cancer Institute (NCI), most recently serving as assistant director. Dr. Brawley is a member of the Centers for Disease Control and Prevention Advisory Committee on Breast Cancer in Young Women. He was formerly a member of the Centers for Disease Control and Prevention Breast and Cervical Cancer Early Detection and Control Advisory Committee. He served as a member of the Food and Drug Administration Oncologic Drug Advisory Committee and chaired the National Institute of Health Consensus Panel on the Treatment of Sickle Cell Disease. Dr. Brawley is a graduate of University of Chicago, Pritzker School of Medicine. He completed his internship at University Hospitals of Cleveland, Case-Western Reserve University, his residency at University Hospital of Cleveland, and his fellowship at the National Cancer Institute. People diagnosed with cancer who had no insurance or were insured through Medicaid were 1.6x more likely to die within 5 years than those with private insurance. He introduces the concept of the “wallet biopsy” as a term to describe the difference in care we get once it’s determined what type of insurance we have. While he points out and is clearly an advocate for health discrepancies and the issues of the un- and under-insured, he also points out that “wealth in America is no protection from getting lousy care”. I learned about “gomers” which stands for get out of my emergency room which are patients who come to the emergency room just to interact with someone without any real symptoms. He also introduces several other terms apparently all derived from a book The House of God about an intership at Beth Israel Medical Center in the 70s. He brings up an important issue that us as Americans and many physicians believe to be true which is that “death is a failure of medicine”. I’ve talked with several physicians about this. I believe it’s one of the things that contributes to the enormous amount of money we spend on people in their last 90-days of life. He gives a great (but sad) story of the “moral hazard” scenario of a family trying to care for their parent in the last days of their life and all the “senseless acts of medical torture” that they put him through. This is one of his classic examples of where the physician knows better but is actually instructed to do harm. He gives a brief nod to companies using business rules to safeguard patients through technology that requires physicians to document what they are doing and comparing those to guidelines. He spends a lot of time on prevention and survivorship in terms of how people justify some of those numbers. It’s worthy of an entire post, but the key point is that early diagnosis by itself simply increases the years of survivorship. It doesn’t actually mean we did anything better. He also points out that due to all the treatments we give patients some of them die of other issues rather than cancer that “improves” the cancer death statistics. And, for all of my pharmacy friends, he doesn’t miss the opportunity to tell the Nexium story or to talk about Vioxx and what happened in both of those cases. His stories are amazingly similar to some of the physicians that I worked with for the past two years. He talks about the overuse of radiologic imaging. He talks about the da Vinci robot. He gives some unique insights into the politics of support groups and government funding which I’d never understood before. This leads up to his point that research shows that 1.3M American men were needlessly treated for localized prostate cancer from 1986-2005. Wow! He was very positive on the US Preventative Services Task Force (USPSTF) which I was glad to hear since that’s the group that several of my physician friends have used before for setting guidelines. Hopefully, you get the point. It’s a quick read with a good mix of studies, patient stories, and the history of cancer with a focus on both historical and current issues that face us in this time of transformation in health care. As a random point of interest, Dr. Brawley uses several references to teachers and his Jesuit education at The University of Detroit Jesuit High School and Academy in Detroit which is where I also went to school and had some of the same teachers. Our school was featured a few years ago as the last Catholic college prep school still in the city. I think this is really interesting. Cleveland Clinic has opened a Chinese herbal-therapy ward. In the US, we’re very much a medicated society. There’s a pill for almost every ailment you have and some you didn’t even know you had. Even admitting that Western medicine might not have all the answers is a big step forward especially for such as prestigious hospital such as Cleveland Clinic. So, what are they doing? According to what I’ve read, they see patients with chronic pain, fatigue, poor digestion, infertility, and sleep disorders. The clinic is run by a certified herbalist under the supervision of several classically trained physicians. Access to the clinic is only on a referral basis, and according to Ohio law, the physician has to continue to oversee the patient’s treatment for a year after their referral. The clinic is a single room with bright pillows, a tapestry, candles, and a cot. Compared to China, the herbal formulas here are all encapsulated versus sent home with them to brew. Of course, one of the worries is drug-herb interactions which requires them to coordinate care using an EMR and have people that have the right training and work with a clinic that can provide them with the right herbs and still meet their safety standards. A consultation costs $100 which is typically not covered by insurance. Additionally, follow-ups are $60 and a one-month supply of herbs will cost $100 (on average). Curing Camden is a quick read on how different groups collaborated to change the healthcare cost curve in Camden, NJ. Here’s the official language from the Amazon site, but after reading it, I thought I’d highlight a few things that caught my attention. As the federal health reform debate played out in the national media spotlight, author Christina Hernandez Sherwood was reporting on the American medical system from the street level. From 2010 to 2012, she wrote a half-dozen stories for thePhiladelphia Inquirer that focused on an innovative healthcare nonprofit: the Camden Coalition of Healthcare Providers. These stories centered on the nonprofit’s role in combating falls, violence, diabetes, and other issues in Camden, New Jersey, a city known nationally as one of the country’s poorest and most violent, but that is now making a name for itself as an innovation leader in the public health sector. In Curing Camden, all of Sherwood’s articles have been collected into a single book, including the unpublished final installment profiling the nonprofit’s founder. This book takes readers from the living rooms of Camden residents to the halls of the New Jersey State House in Trenton and beyond. Sherwood highlights how Camden could be the first US city to bend the cost curve by lowering healthcare costs while improving care. The ideas revealed in this book could be translated into practice across the country, and Camden could become a national model of 21st century medicine and public health. The book goes through several core chapters. The first one is on creating a citywide health record by working with the 3 primary health systems in the city. The core part of the success here is that they used the framework of opt-out not opt-in which would drive more participation at the consumer level. This behavioral economics framework called “active choice” has been used by several companies that I’ve worked with in the healthcare space to shift behavior patterns. This obviously has the opportunity to reduce duplicate testing and improve care coordination. The second chapter is about create an ACO for Camden with a 3-year Medicare demonstration project. It’s an interesting discussion about how Dr. Jeffrey Brenner began using data to learn things about the Camden population. For example he found out that most of the population will vista a hospital at least once in a 2-year period (which is 2x the national rate). He also found that most of the top reasons for going to the emergency room were all primary care issues. He makes a great point in the book that while people think that complicated patients simply like going to emergency rooms the reality is that they don’t have better choices. The third chapter was about protecting against the risk of falling. From 2002-2009, Camden residents made more than 17,000 trips to the hospital (the number one cause of hospital visits in Camden). This isn’t a localized issue either. Falls affect 1 in 3 seniors every year and drive $19B in costs according to the CDC. In the book, they make an interesting point about the “vicious cycle” of falling which leads to less activity which leads to weaker patients increasing the likelihood of another fall. The fourth and fifth chapters are about diabetes. In Camden, almost 13% of adults have diabetes. These patients can be high utilizers which is something they talk about along with their focus on the 13% of patients that drive more than 80% of the costs in Camden with one patient having over $5M in charges over 5 years. Of course, people in dangerous communities are at higher risk of obesity due to lack of access to food and safe places to exercise which contributes to the diabetes issues. The sixth chapter is about violence and helping victims. Camden’s 77,000 residents experience more than 13 aggravated assaults per 1,000 residents (which is 5x the national rate). This lead to 9,361 trips to the hospital from 2002-2009. Should Providers Have Private Conversations With Your 12-Year Old? There was an interesting story which came out of Michigan this past week from Christy Duffy about how her physician’s office was requiring all minors between the age of 12-17 to have a 5 minute private conversation with them (according to the law). Of course, it appears that they made a mistake per her later post, but I think it serves to make several interesting points. 1. Don’t always assume that someone’s interpretation of the law is right if it doesn’t make sense. Sometimes, you have to apply common sense and push back or ask questions. 2. There is a gray area between protecting the rights of our kids and protecting our rights. While the intent of allowing our kids to have honest and open conversations is appropriate, there needs to be some involvement of the parents. It’s an interesting topic for discussion. Should our teenagers have access to providers on their own? Yes. If a teenager has a health issue, I think we’d all prefer that they talk to a professional rather than Dr. Google or their friends to find the answer. Should a provider be able to force a private conversation with a minor? Yes…if they have a legitimate concern about abuse, but I don’t see any other reason. Should a teenager who’s covered by my insurance and lives in my house be able to block me from having access to their medical records? Yes. This is the law, but should providers be having private conversations to offer them this option? I don’t think so. I would like them to have those discussions with me and my child to say that here are their options. Should a teenager have a private conversation with their provider about STDs, HIV, and birth control? Yes, BUT I’d like to have the conversation at the right age with me in the room initially and then offer the private option. I don’t think forcing that conversation on a 12-year old would make sense in a private setting. Ultimately, this comes down to the issue of access to the medical records online. What I heard was that this would also require the provider to get a cell phone and e-mail address for my kids. Obviously, if they’re doing something confidentially with the doctor, that’s one thing, but as a matter of record, I disagree. (I don’t even give out my kid’s Social Security numbers.) I don’t want my kids to start getting e-mails, phone calls, and letters sent directly to them as early as 12-years old. And, yes…I do try to shelter them a little. We talk about all the issues, but in a way that my wife and I want them to learn, not according to some formula driven approach that’s mandated. But, ultimately, I don’t think a 12-year old is mature enough to make all their own health decisions or to feel like they should. Obviously, some part of this falls on the parent regardless to create an environment of open dialogue with their kids. The kids have to feel comfortable talking with their parents which is important for health and many other challenges that our kids have to deal with. And, unfortunately there’s always bad people in any profession so while sexual abuse by a physician or nurse is rare it’s not unheard of. Ideally, I think you should have the choice of when to encourage a private conversation and never have it mandated (unless of course the provider suspects abuse). Unfortunately, with a report of abuse being made every 10 seconds, we have a huge problem in our country. When I saw this article and image in JAMA, I was really excited. It’s a good collection of structured and unstructured data sources. It reminded me of Dr. Harry Greenspun’s tweet from earlier today which points out why this new thinking is important. Structured assessments like the PHQ-9 for depression screening or the Patient Activation Measure. How often do they call the call center? What types of questions do they have? Do they respond to calls, e-mails, SMS, letters, etc? Have they identified any barriers to adherence or other actions (e.g., vaccines)? Is that stored at the pharmacy, call center, MD notes? This could be mobile data from my phone. What searches I’ve done to find health information. What have I read? Was it a reliable source? How many steps do I walk a day? These things seem more relevant to me than fitness club memberships (which doesn’t actually mean you go to the fitness club) or ancestry.com data which isn’t very personalized (to the best of my knowledge). In some cases, just simply understanding how consumers are using the healthcare system might be revealing and provide a perspective on their health literacy. Do they call the Nurseline? Do they go to the ER? Do they have a PCP? Do they use the EAP? We’d like to think this was all coordinated (and sometimes scared into believing that it is), but the reality is that these data silos exist with limited ability to track a patient longitudinally and be sure that the patient is the same across data sources without a common, unique identifier. 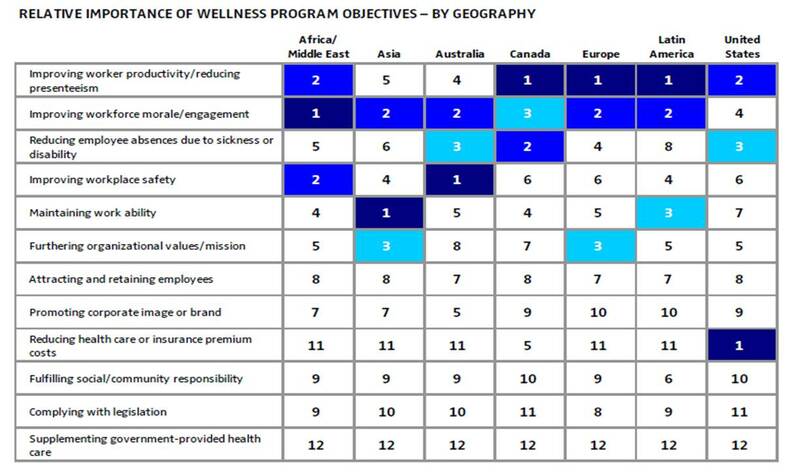 I was looking for a statistic today on wellness programs when I came across this 2010 survey on global wellness from Buck Consultants. I found the geographic differences really interesting, and I thought I’d share a few of the charts here. If you want to see their 2012 report on what’s next for wellness, you can go here. Dossia is an organization dedicated to improving health and healthcare in America by empowering individuals to make good health decisions and become more discerning healthcare consumers. Backed by some of the largest, most respected brands in the world – Applied Materials, AT&T, BP, Cardinal Health, Intel, Pitney Bowes, Vanguard Health Systems, NantWorks and Walmart – Dossia’s founding member companies have united under the common vision of changing healthcare. Having these companies involved over the past 6 years has been really important for them to accomplish what they’ve done. As someone that’s worked on a lot of the same population health challenges, they’ve accomplished things that not even Google Health could do. They’ve incorporated health content which by itself isn’t impressive, but the content is tailored to the individual based on their medical data. Not hard, but not something that many people do well. They’ve built out a series of partnerships and integrations with over 50 apps where you can navigate that turn them on as widgets within the portal. This is very similar to some of the cool things that CarePass is doing. They’ve built the system out using open APIs (application programming interfaces) which allows other companies to easily integrate with them. And, probably one of the cooler things from my consumer engagement lens was their ability to do WYSIWYG rules creation to trigger outbound communications based on clinical data. The idea of a rules engine isn’t difficult, but the ease of their solution with the integrated data makes it very powerful. And, they’ve expanded their reporting. They’ve pulled in ways to manage those family members for which you’re a caregiver. They’re doing lots of interesting things. They are definitely worth talking to if you haven’t seen them in a few years. A few weeks ago, I had a chance to follow-up with Martha Wofford, the VP of CarePass about their latest press release. This was a quick follow-up interview to our original discussion. As a reminder, CarePass is Aetna’s consumer facing solution (not just for individuals who they insure) which integrates mHealth tools and data to help consumers improve their engagement and ultimately health outcomes. As part of this update, we talked about one of my favorite topics – medication adherence. Obviously, this is a global problem with lots of people trying to move the needle. In this case, they’ve included the Care4Today app from Janssen. 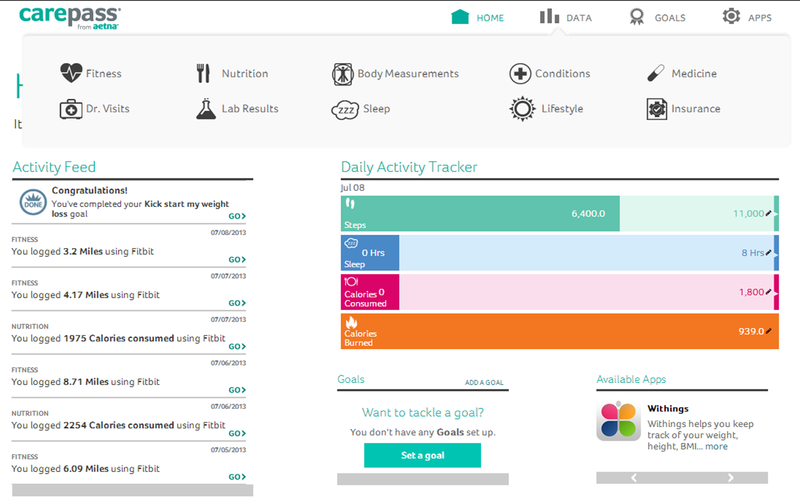 This tool does include some functionality for the caregiver which is important. It also links in charitable contributions as a form of motivation. 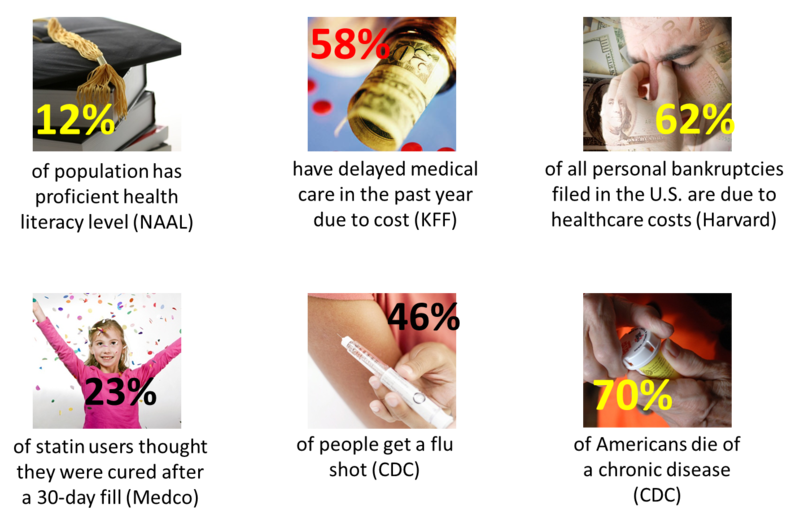 We talked about the reality that adherence is really complex, and people are different. This may work for some, but adherence can vary by individual, by condition, and by medication. But, they hope that this is a tool that may work to nudge some people. I was also glad to see them taking on the issue of stress by adding the meQ app. This is a key struggle, and Martha pointed out to me that 1/4 of adults are either stressed or highly stressed. She mentioned that they’ve gotten a great reception to this program, but they have a lot more to learn. They’re still in the early period of getting insights and interconnecting all of their efforts. We also talked about some of the upcoming opportunities with the caregivers (or the sandwhich generation). I personally think the opportunity to improve aging in place through a smart home strategy with remote monitoring is going to be huge of the next 10 years. I did interview the Janssen people as a follow-up which I’ll post separately, but I also thought I’d include this video interview of Martha that I found. I’ll admit that several people have asked me about this over the years. If a picture is really worth a thousand words, would it be better to send someone a picture than a text message. Perhaps a picture of me in my skinny jeans if I’m trying to lose weight. Perhaps a picture of my grandkid if I’m trying to get healthy to run around the yard with them. Perhaps a picture of my favorite vacation location to motivate me to stick with a health goal. It’s an interesting question. So, let’s start with tex messaging in healthcare. When I think of using SMS (or texting) in healthcare, my first example is always Text4Baby which was a unique coalition of companies that worked with Voxiva to get this launched. And, I think there are some business cases out there around using SMS to interact and change behavior in healthcare. The Center For Connected Health in Boston with Dr. Joseph Kvedar has been studying this in several settings. Here’s one poster from them on a pilot. Here’s a good summary of what had happened as of 2012 from MobiHealth News. I could go on, but I think you get the point. Lots of people have tried using text messaging as a low-cost but potentially effective way to get messages to consumers about a specific health behavior. Especially in other countries, this can be the preferred method. But, we always talk about the fact that people remember pictures better than words. And, culturally, we’ve become a society that takes pictures of everything. We share those pictures on Facebook and Pinterest and Twitter and other social media tools. And, in many cases, we’re obsessed with infographics as a means of delivering information. So, why not use them more in healthcare communications? I was thinking about my interview with Aetna about CarePass and what CarePass was doing, and it seemed to create a good example. Would I rather a text that reminded me about my goal or the picture on the right? Additionally, I know in discussions with Vic Strecher, co-founder of HealthMedia, that we’re talked about the value of customizing imagery on letters to personalize and engage consumers. I just can’t find anything published by them right now to show that they studied that. So, as we think about motivating people and sending them reminders, I think it would be really interesting to see the results of a picture driven process versus a written communication. Is it the same effect? Does it vary? By age, gender, type of action? Of course, the one thing I would recommend is letting the consumer upload and pick their picture not picking from some general list of canned photos. This is one of my favorite images that I use all the time to talk about how our decisions drive our healthcare costs. 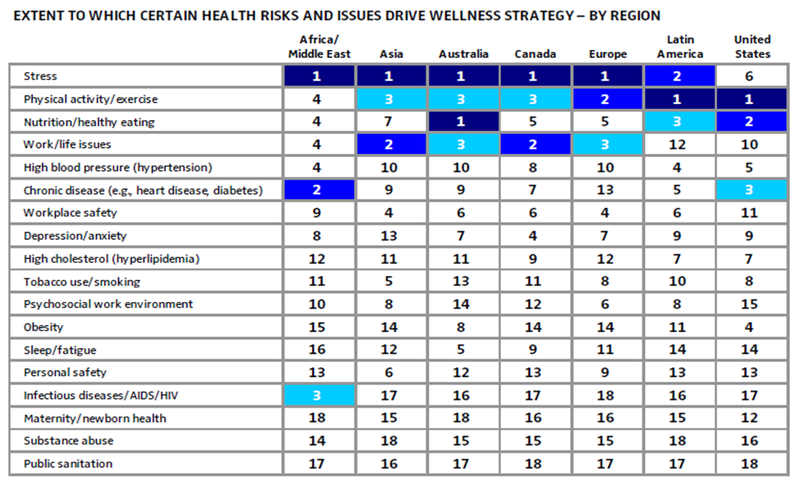 This is from the AON Hewitt 2012 Health Care Survey and based on the World Economic Forum’s data. You know that something has become mainstream when the large Fortune 500 companies (not already in healthcare) begin to jump into the space. So while some people in healthcare are still trying to figure out what to do about remote monitoring, Verizon has jumped into the pool with their Converged Health Management solution. Now, don’t forget, people have been forecasting huge growth in this space while at the same time some of the start-ups in this space haven’t taken off as fast as expected. I was hoping to talk with Verizon about this new effort, but they declined. Since I had already prepared to interview them, I’m sharing my thoughts here. What is Verizon doing in healthcare? Verizon appears to be doing several things in healthcare. While a lot of it is critical but less exciting back-office technology, they are starting to move into more of a consumer strategy (I think). 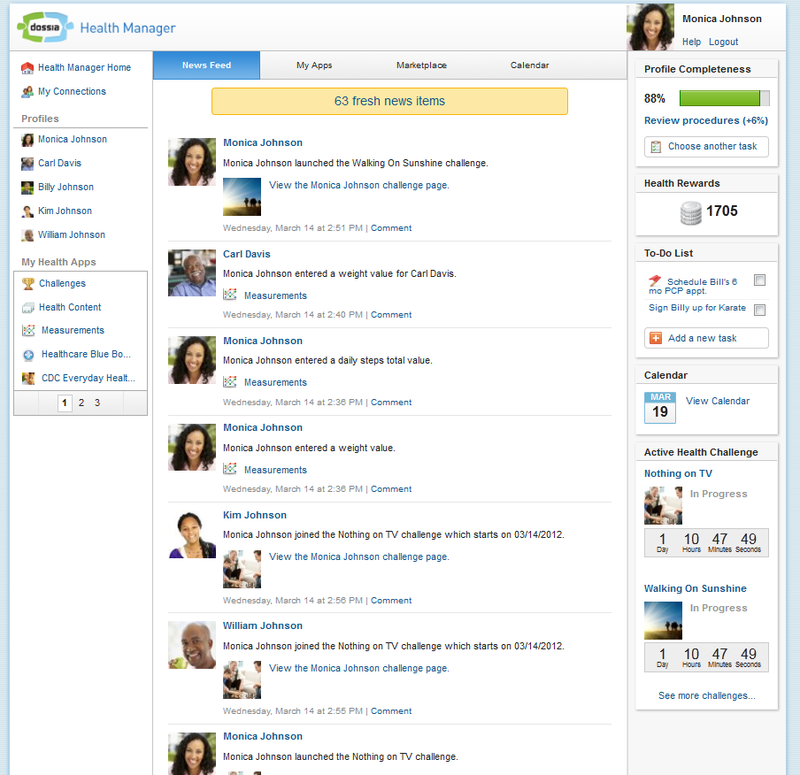 What is Converged Health Management? Converged Health Management is a “remote patient-monitoring medical platform designed to help clinicians and patients manage patients’ health in between doctor visits.” This sounds really intriguing. I was hoping to find out more about the device, the apps, the data, the platform, and how this is being integrated into the provider workflow. But, for now, I’ll have to live with this video. How does the device get “prescribed” to the patient? How does the patient learn to use the device? How easy is it to set up the device? What is the cost of the device? What data is captured by the device? How is this data transmitted and to whom? How is the data used by the patient? How is the data used by the clinician? How does the solution change patient behavior? What rules are written to monitor the data to create escalations to the physician, their care manager, or their caregivers? Should Physicians Be Taught To Stop Trying? With several recent articles about $100,000 plus cancer drugs, I was reminded of a conversation I’ve had with several oncologists. We were discussing how to use advanced illness counseling from companies like Vital Decisions to help people and their families manage through a terminal diagnosis. On the one hand, that seems like a conversation that a physician could / should have, but I’ve highlighted some research on this before. On the other hand, in a FFS (fee for service) world, there is an incentive to keep doing everything possible regardless of costs and how long it extends life. Will this change in a value based payment model? I’d like to believe it will. There is so much money spent on care in the last few months of life with limited extension of life and questionable impact on quality of life that this may become more relevant. But, what struck me in my discussions is that the oncologists said that no one ever taught them how to “give up” on the patient. They see success in curing the patient or getting the cancer in remission. Is that success? Is it giving up to stop pumping them full of drugs with minimal value? Is there a rationale price for each day of extended life? We typical think of healthcare as an endless bowl of funds, but what if it was limited? What if we couldn’t just keep printing money and raising the debt ceiling? Should that $200,000 be spent to get two weeks of life for a 90-year old patient in pain or should it go to feed a family and provide them with medical care for several years? I’m not sure who wants to make those decisions but I think there will be a day when we need to think differently about some of the healthcare choices we make. No one who works with consumers or who studies adherence should too surprised that people are different in how they fill their medications. I think companies are finally getting a better handle on longitudinal member records and ways of studying those patterns to determine how and when to intervene. Our past behavior is always a great place to learn from about our future behavior but at the same time, people view different drugs and conditions differently. For example, I might be very likely to take my pain medication everyday since it’s a symptomatic condition versus my cholesterol medication since it’s an asymptotic condition. I also may take a different approach yo medications that have significant side effects. At the same time, these data is well known so the quest for the “best” segmentation approach and behavior change model continues. Higher adherence was seen with patients who were older, had higher incomes and held a high school diploma. The highest adherence rates were associated with Medicare Part D clients and people who live in New England. Those with the lowest adherence rates tended to be generally younger, male and less likely to have an initial prescription that provided them with more than a 30-day supply of medication. 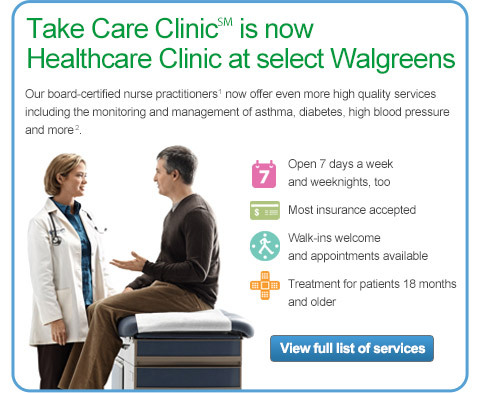 As I talked about in my post about Walgreens and innovation, Walgreens has renamed their TakeCare Clinics to Healthcare Clinics at some locations. This is more than just a meaningless name change. This is the beginning of a business model change. This is the shift from acute care to ongoing chronic disease management. This is a big move that changes their place in the healthcare value chain. It’s part of the overall strategy that has pulled them into the ACO space. It will be interesting to see if CVS Caremark and their MinuteClinics follow them. CVS Caremark already announced a different strategy in terms of providing advocates. If I were them, I would jump fully into the remote monitoring / mHealth space and provide chronic disease management from a remote basis. I think this would be different and innovative. I was reading a document from the National Kidney Foundation (NKF) the other day. Some of the facts jumped out at me. I thought I’d share them. You can also find more information about CKD from the CDC. There was an article this week in the NY Times about this silent killer. Here’s a paragraph from there. Only 1 percent of participants with no lifestyle-related risk factors developed protein in their urine, an early indicator of kidney damage, while 13 percent of those with three unhealthy factors developed the condition, known medically as proteinuria. Obesity alone doubled a person’s risk of developing kidney disease; an unhealthy diet raised the risk even when weight and other lifestyle factors were taken into account. 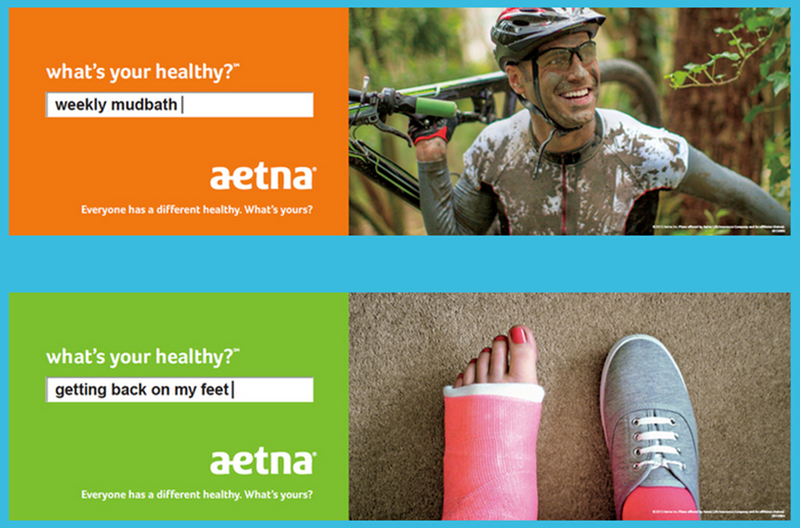 CarePass, Another Aetna Innovation – What’s Your Healthy? 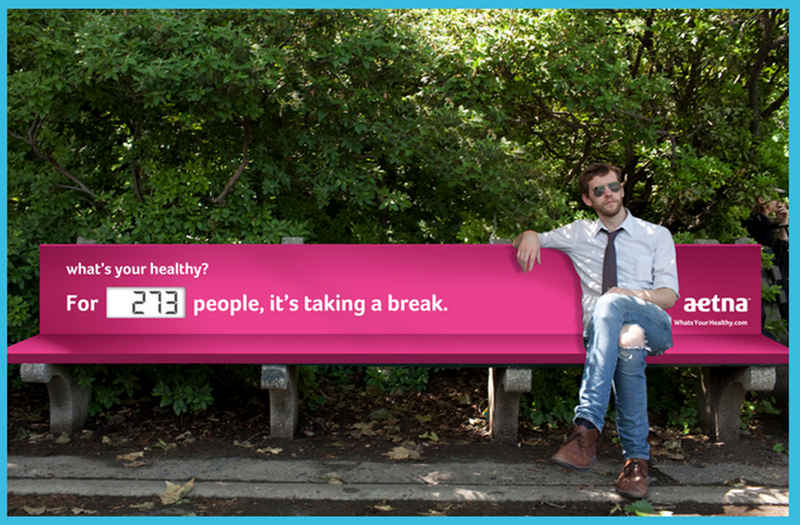 Have you seen the new “What’s Your Healthy?” campaign? Here’s a few shots. BTW – My healthy is keeping up with my kids in sports and moving down a belt notch. As many of you know, I consider Walgreens and Aetna to be two of the most innovative healthcare companies today (out of the big, established players). [And, full disclosure, I own stock in both.] I’ve talked about Walgreens (see Walgreens post on innovation) several times along with Aetna (see Healthagen post). That being said, the new campaign along with the press caught my attention. I was glad that I was able to get some time with Martha Wofford who is the VP and head of CarePass. I spent some time talking with Martha and team about their initiative. Here’s some highlights that stuck out to me. There use of goals was really easy and intuitive. If you log-in to the CarePass site and get started, you have 3 options or you can create your own (see below). We spent some time talking about the importance of making these relevant to the individual not focusing on “healthcare goals” like adherence or lowering you blood sugar. Most of us don’t think that way. As they described them, they picked “motivation centric goals”. Which apps are most popular? 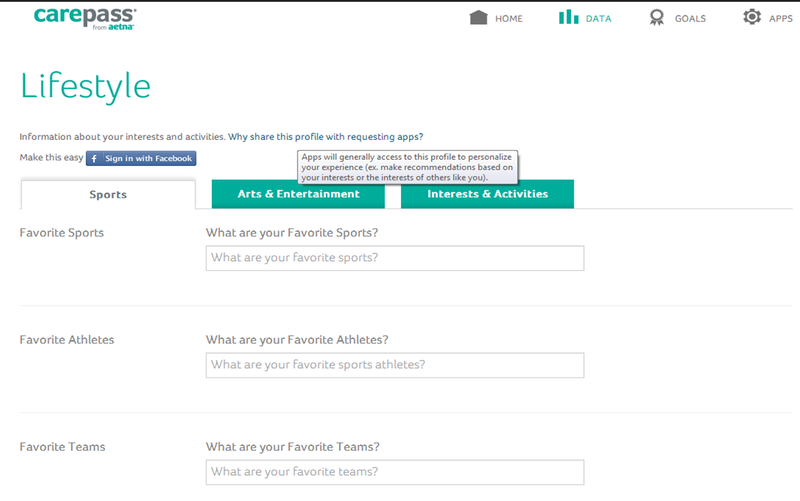 They also spent more time pre-screening apps which collect PHI to understand them before listing them on the site. They’re using the consumers goals to recommend apps to them. The other big question I had is why do this. It certain helps build the Aetna brand over time, but there’s not direct path to revenue (that I see). They described their efforts as “supporting the healthcare journey” through connected data. Ultimately, it’s about making Aetna a preferred consumer brand which may be very relevant in the individual market and exchange world in the not too distant future. I like the idea of companies being “app agnostic” as I call it. Walgreens is doing this. Aetna is doing this. I plan on doing this in my day job. This allows the consumer to pick the app that works for them and as long as the data is normalized (or can be normalized) and the app provides some type of open API (application programming interface) it’s much easier to integrate with. We also talked about new goals to come around smoking cessation, medication, and stress. In summary, CarePass is a nice additional to your #QuantifiedSelf toolkit. As you can see from the screenshots below, the GUI (graphic user interface) is simple. It’s well designed. 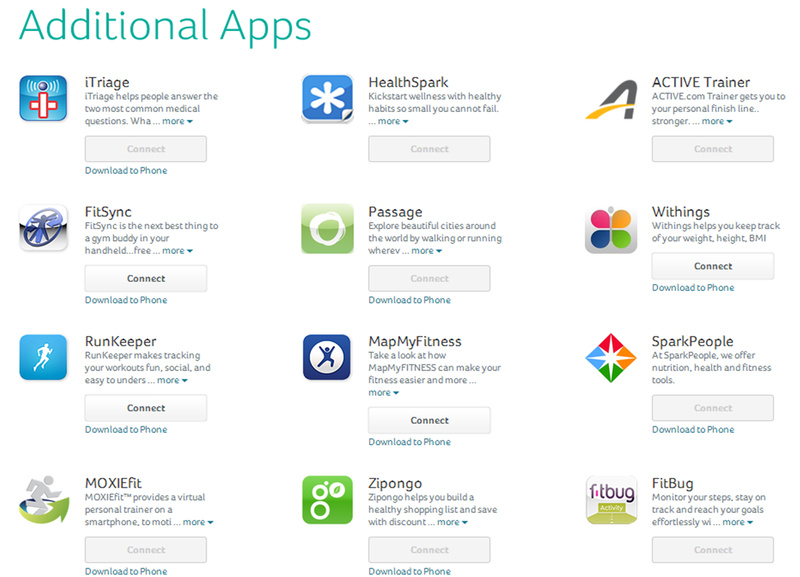 Integration with your apps is easy. It provides you with goals and motivation. They help you navigate the app world. And, it helps you bring together data from multiple sources. Once it can pull in all my Rx, medical and lab data along with my HRA data and my device data, it will be really cool! But, I know that I’m a minority in that effort. I’m really intrigued by the lifestyle questions they ask and wonder how those will ultimately personalize my experience. So, what apps do they share? Here’s a screenshot, but you really should log-in and try the site and see the full list. It’s simple and worth the effort. As an added bonus, I’m adding a presentation I gave with Aetna at the Care Continuum Alliance two years ago. I was searching for my past interviews with Aetna people and found this online so I added it to SlideShare and put it here. More CDHPs Are Coming – Is That A Good Thing? I think we all see it coming. It’s a tidal wave of responsibility being pushed from the employer to us the individual. On paper, this seems like a great thing since 75%+ of healthcare costs are driven by personal behaviors. On the other hand, this means we actually have to understand the healthcare system and how to make decisions. Consumer-directed health plans (CDHPs) are designed to make employees more cost- and health-conscious by exposing them more directly to the costs of their care, which should lower demand for care and, in turn, control premium growth. These features have made consumer-directed plans increasingly attractive to employers. We explored effects of consumer-directed health plans on health care and preventive care use, using data from two large employers—one that adopted a CDHP in 2007 and another with no CDHP. Our study had mixed results relative to expectations. After four years under the CDHP, there were 0.26 fewer physician office visits per enrollee per year and 0.85 fewer prescriptions filled, but there were 0.018 more emergency department visits. Also, the likelihood of receiving recommended cancer screenings was lower under the CDHP after one year and, even after recovering somewhat, still lower than baseline at the study’s conclusion. If CDHPs succeed in getting people to make more cost-sensitive decisions, plan sponsors will have to design plans to incentivize primary care and prevention and educate members about what the plan covers. You can see some of the growth stats and concerns also in an American Medical News article. But, as someone who’s live through it, there are a series of issues (all of which are addressable). Shifting first dollar payment to the individual also shifts a huge burden of time to the individual. Which bills do I pay? Which receipts do I send to the HSA? Which to the HRA? How much should I put in each account? What’s the status of my payments? This only works if I understand my tradeoffs. What should I be doing differently? How could I have spent less money? It can create the wrong incentives. My regular transactions like pharmacy seem to cost me a huge amount of money every month while my procedures seem very inexpensive. My point here is that healthcare is like a balloon. When you step on one area, it doesn’t eliminate the costs. It simply shifts the costs. Until we understand the macro-economic impacts of our short-term decisions, it’s unlikely that we’ll really change our path. I see a huge shift happening and when the tidal wave pulls back it’s going to leave us with a huge Medicare bill in the future as people have put off preventative care only to have more issues in a decade. When I worked as an IT consultant, you had two clear choices – an enterprise system (e.g., SAP) or a best-of-breed (BOB) strategy. People liked the simplicity of an enterprise system, but you may have sub-optimized reporting or some flexibility in your solution. On the other hand, the BOB strategy required more maintenance, effort, and coordination to pull it off in a coordinated fashion. In today’s healthcare world, I look at and meet with a ton of technology companies. The struggle is how to keep up with all the change in the industry and be nimble enough to engage the new start-up, but flexible enough to evolve with the market without impacting the consumer experience. Maybe it draws on my training as an architect, but I was describing my technology vision as one of a general contractor. The buyer (client) wants a BOB solution. 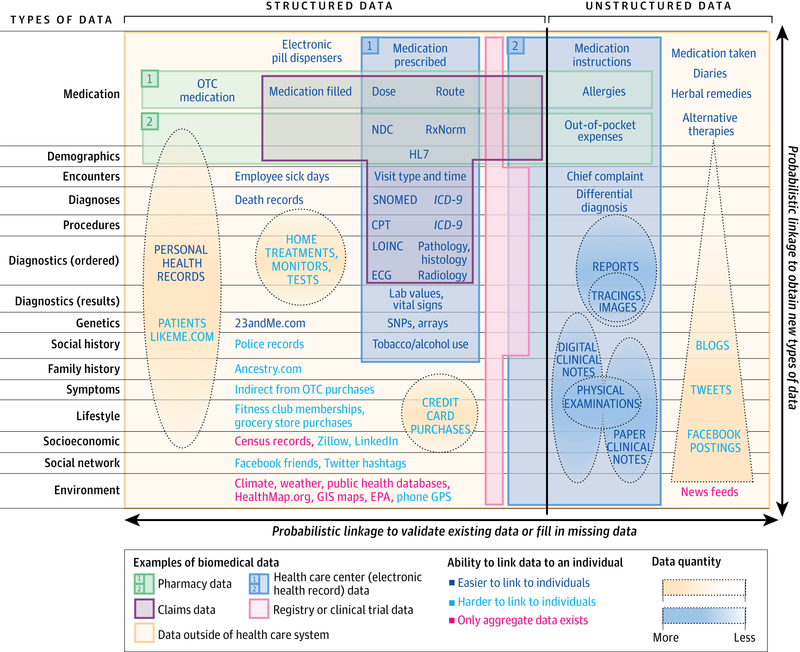 They want everything optimized – data, reporting, workflow, content, mobile, clinical algorithms, etc. At the same time, they often underestimate what it takes to manage all of these vendors, integrate the data on the backend, and create an integrated consumer experience across multiple vendors and technology platforms. That’s where I see some real value add as a “technology curator”. I see one of my roles in helping manage an evolving ecosystem of healthcare companies and working with a flexible technology platform that can quickly plug and play with different solutions. This also allows me to have pre-built integrations with certain solutions, but I can also offer consumers the ability to choose their device (for example) and with the right API set up just be device agnostic in my solution. Over time, this offers clients a lot of flexibility. The get the BOB approach within an enterprise system environment. They don’t have to keep issuing RFPs and evaluating vendors (since we’re doing that). They don’t have to stitch together multiple data sets to create the integrated, longitudinal view of the consumer (since we’re doing that). They don’t have to pretend that they’re offering a cohesive consumer experience (since we’re doing that). And, most importantly, they are flexible over time to jump from solution to solution within the architecture without disrupting everyone since it’s behind the “presentation layer” that the consumer experiences. I think Walgreens is really interesting, and they did have a great catalyst to force them to really dig deep to think about how do we survive in a big PBM world. It seems like the answer has been to become a healthcare company not just a pharmacy (as they say “at the corner of Happy and Healthy”) while simultaneously continuing to grow in the specialty pharmacy and store area. Let’s look at some of the changes they’ve made over the past 5 years. Looking back, I would have described them as an organic growth company with a “not-invented-here” attitude. Now, I think they have leapfrogged the marketplace to become a model for innovation. They got the pharmacist out talking to people. They got more involved with medication therapy management. They increased their focus on immunizations increasing the pharmacists role. They formed an innovation team. They invested heavily in digital and drove out several mobile solutions including innovations like using the QR code and scanning technology to order refills. They’ve reached out to partner with companies like Johns Hopkins and the Joslin Diabetes Centers. They increased their focus on publications out of their research group to showcase what they could do. They started looking at the role the pharmacy could play and the medications played in readmissions. They partnered with Boots to become a much more global company. They offered daily testing for key numbers people should know like A1c and blood pressure even at stores without a clinic. They created an incentive program and opened it up to link to devices like FitBit. They partnered with The Biggest Loser. They increased their focus on the employer including getting into the on-site clinic space. They created 3 Accountable Care Organizations. They partnered with Novartis to get into the clinical trials space. They developed APIs to open their system up to developers and other health IT companies. They formed a big collaboration with AmerisourceBergen which if you read the quote from Greg Wasson isn’t just about supply chain. They jumped into the retail clinic space and have continued to grow that footprint physically and around the services they offer with the latest jump being to really address the access issue and help with chronic conditions not just acute problems. This is something for the whole pharmacy (PBM, pharma, retail, mail, specialty) industry to watch and model as I talked about in my PBMI presentation (which I’m giving again tomorrow in Chicago). It reminds me of some of the discussions by pharma leaders about the need to go “beyond the pill”. I was hopeful to hear someone come out strongly and speak about it yesterday on CBS, but instead the CEO of Mercer just talked about “soft” programs that depend upon consumers being proactive around their health. I would rather hear about the value of screenings and how it helps employees. In talking with one friend of mine at a biometrics company, he told me that in one case almost 40% of the people that they identified with diabetes (or pre-diabetes) and hypertension (or pre-hypertension) didn’t know they had the disease (or were at high risk). That to me is a valuable insight to the individual especially when coupled with a program to help them learn and manage their disease (or risk). As I mentioned the other day, this use of biometrics and link between incentives and participation (and ultimately outcomes) is normal and will ultimately improve the link between the workplace and the employee around health. For life insurance, you have to disclose certain data and depending on the policy level you have to do other things like get a physical and have blood work drawn. That effects your costs and their underwriting. For home owners insurance, your costs go up if you live in a flood zone or a earthquake zone. It also goes up if you have lots of claims. Whether we want to admit it or not, we do determine a lot of our healthcare costs based on decisions we’ve made or had made for us since we were kids. Some of these are conscious and some are subconscious. And, obesity which is a large driver of many of these chronic conditions and has an impact on your likelihood of having cancer. So, a company asking for your BMI and other data to help understand your risks for healthcare costs (of which they typically pick up 80%) doesn’t seem unusual. Certainly, some are environmental such as those that live in “food deserts” like Detroit. In other cases, workplace stress can affect our health. We’re just starting to get smarter about “sitting disease” and it’s impact on our health. Or, we may take medications that affect our blood pressure (for example). It’s certainly important to understand these in context of your lab values and discuss a holistic strategy for improving your health with your physician and any care management resources which are provided to you (nurse, social worker, nutritionist, pharmacist). This idea of learning more about employees in terms of biometrics, food, sleep, stress, social interaction, and many other data points is going to be more and more of a focus. Companies want to learn how their employees do things. They want to understand their health. They want to improve their health. They want to invest in their workforce to improve productivity, innovation, and ultimately job satisfaction. While the glass half-empty people won’t see this and there are some companies that don’t always act this way, I generally believe that companies are trying to act in a way to increase their top line and most intelligent executives understand the correlation between health and wealth and the link between employee satisfaction and growth. Ultimately, healthcare costs are estimated to put a $240,000 burden on us after we retire (even with Medicare) so if someone wants to help me become healthier and thereby save me money which improves my ability to retire and enjoy life I’m happy for them to do. Have you heard that CVS Caremark is requiring employees to go get biometrics and going to take action on it? OMG! Now, let’s look at our healthcare system where in the current fee-for-service model, there isn’t an incentive for physicians to address this. For now, people should be happy. They’re only being required to do the biometrics. The penalty isn’t linked to whether they’re fat or have high blood pressure or smoke or have high cholesterol or have diabetes. A recent study by Towers Watson shows that while 16% of employers do this type of outcome based incentive program today (2013) that this is going to jump to 47% in 2014. So, this will be the norm. And, guess what…sticks often work better than carrots in some cases. And, healthcare costs are making us uncompetitive globally as a country. The cost of healthcare is greater than the cost of steel in a car. The cost of healthcare is greater than the cost of coffee in a Starbuck’s cup of coffee. But, what I think all of us (consumers and employers) will need to realize is that moving to this (which I agree with) will change the employer and employee relationship in several ways. You can’t put these programs in place without something to help me manage my obesity, cholesterol, and/or other chronic condition. This will drive wellness and disease management programs to be more engaging and successful. This will put pressure on employers to create a culture of health since we spend so much time at work and work contributes to our health conditions. Need more time to be active. Less sitting. Treadmill desks. Standing meetings. Nap time. Walking breaks. Use of devices to track steps. Incentives. Gym discounts. Healthy food discounts. Better food choices at work. This will drive a lot of the new tools and run counter to some trends about limiting dependent coverage since you can’t address obesity without engaging the entire family and the social network. This will also create a whole exception process by which people who gain weight due to certain drugs have to be excluded. People who can’t exercise may have to be excluded. People may have to see short-term goals (i.e., dropping BMI from 35 to 32). Physicians will have to be engaged. Coaching will have to expand to include dieticians, social workers, and others to help people beyond the historical nurse centric coaching model. Why It’s So Hard To Improve Consumer Engagement In Healthcare? I spend a lot of my personal and professional time trying to figure out how to better engage consumers in healthcare. If you can’t engage them, you can’t improve outcomes. Never mind the fact that people experience about 5,000 messages a day so you have to cut through that clutter. Even if we do cut through the clutter, people are busy living their lives. They’re worried about their family. They’re worried about the economy. They’re trying to keep food on the table. They are generally overwhelmed with too little sleep and too much stress. But, let’s even assume that you can cut through the clutter and get them to listen, you still struggle with getting a person at a time when they are open to change. These “golden moments” require them to see value in the change and feel like the short-term effort is worth the long-term gain. This “value exchange” doesn’t often exist. And, with 30% variance in the healthcare system, people often don’t trust the system. Even with all that in mind, people still don’t engage. They don’t get flu shots. They don’t fill their medications. They don’t understand the messages that are delivered to them. Here’s a quick image I created for a presentation later this week. Today, I’m giving my presentation at the PBMI conference in Las Vegas. This year, I choose to focus on the idea of shifting from fee-for-service to value-based contracting. People talk about this relative to ACOs (Accountable Care Organizations) and PCMHs (Patient Centered Medical Homes) from a provider perspective. There have been several groups such as the Center For Health Value Innovation and others thinking about this for year, but in general, this is mostly a concept. That being said, I think it’s time for the industry to grab the bull by the horns and force change. If the PBM industry doesn’t disintermediate itself (to be extreme) then someone will come in and do it for them but per an older post, this ability to adapt is key for the industry. While the industry may feel “too big to fail”, I’m not sure I agree. If you listened the to the Walgreens / Boots investor call last week or saw some of things that captive PBMs and other data companies are trying to do, there are lots of bites at the apple. That being said, I’m not selling my PBM stocks yet. So, today I’m giving the attached presentation to facilitate this discussion. I’ve also pre-scheduled some of my tweets to highlight key points (see summary below).